Rochester, NY (June 29, 2017) WinnCompanies, an award-winning national multifamily development and management company, is pleased to announce that High Tech Rochester has closed on the purchase of its soon-to-be-new headquarters space in the historic Sibley Square in downtown Rochester. HTR, currently headquartered in Henrietta, is expected to occupy the entire sixth floor space of the former Sibley's department store, home of its once-popular tea room, by the end of the year. The move will coincide well with the organization's 30th anniversary year; HTR was founded in October 1987. It's been an incredible three decades for High Tech Rochester, and we're excited to move into our new space, which will be the key to driving us forward for the next 30 years, said HTR President and CEO Jim Senall. We are thrilled to welcome HTR in a move that will restore vibrancy to one of Rochester's most iconic landmark buildings, said Gilbert Winn, Chief Executive Officer at WinnCompanies. HTR will not only breathe new life into Sibley Square, but will become the anchor of the new Downtown Innovation Zone, reinvigorating all of Main Street Rochester. In addition to serving as HTR's new headquarters, the sixth floor will be home to dozens of high-growth potential tech startups. The goal is to help launch 100 companies from this location within the first five years of operations, as well as for this location to serve a coordinating function to better integrate entrepreneurial services and programs from across the entire nine-county Finger Lakes Region. Renovations on the HTR space are expected to start this summer, once a general contractor has been selected. 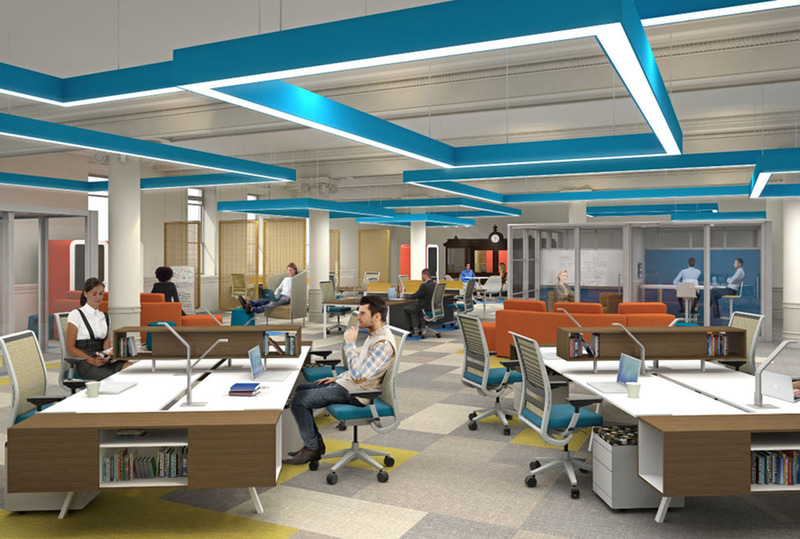 Plans include a mix of private offices and co-working space, a 100-seat auditorium, a prototype lab, wet labs, multiple conference rooms, a kitchen/cafÃ©, and other gathering spaces. Plans also call for an outdoor rooftop events area, which will be especially appealing to young start-up companies and their founders. All of the studies tell us that it's critically important for HTR to be downtown to attract the types of entrepreneurs that we're looking to support, Senall said. They want to live and work in the heart of the city, where they can walk and talk and be part of something bigger. Add in the fact that Sibley Square is a historic landmark, and that's a huge bonus. WinnDevelopment, owner of Sibley Square, is in the midst of redeveloping the 1 million square feet building to a mixed-use property located in the heart of downtown Rochester. The $200 million project broke ground last year with an announcement of 96 luxury market-rate units on the 9th and 10th floors, retail on the Main Street level, office space in the mid-rise and active senior living apartment units on floors 11 and 12. Federal New Market Tax Credits helped make this latest construction phase possible, thanks in large part to U.S. Sen. Chuck Schumer. A grand opening event for the new HTR headquarters is expected to take place later this year or in early 2018.